How Expensive is Home Automation? What's New in Home Automation? Why is Home Automation Becoming So Popular? With the latest technology available, home automation has hit homeowners with force. Millions of Americans are enjoying the confidence, control, and convenience that home automation brings. You have a large variety of home automation options available to you. You can scan your property with video cameras, lock or unlock the doors, and turn on or off the lights from anywhere in the world. With some systems you can also control the temperature in your house, play music in selected rooms, and more. Elan is a high end home automation system that is both reliable and easy to use. Their technology is designed to control just about any aspect of a home or apartment. Multi-point access and the option to expand over time make Elan a strong home automation choice for those with deep pockets. You don't get to be the biggest home automation company in the world without doing something right. Crestron has been in the home automation business for over 40 years. This company caters to the high-end home owner that might need a variety of features and customizations. Although the overall cost can be more than other systems, in this case you get what you pay for. Savant Systems home automation product line is savvy and very customizable. However, Savant owners must be constantly equipped with an Apple iPod, iPhone, or iPad to program and utilize their products. You'll find some nice features within their home automation system but we were less excited about the Apple device requirements. Vivint provides the latest in home automation technology, allowing you to take control of your home with ease. Their strong reputation, along with competitive pricing, earns them high ratings. Control4, a self-proclaimed life-style company, provides an effective high-tech home automation system that stands out with some user friendly, flexible features. Many people like Control4's wireless components that require no invasive installation. Control4 is worth a look if you have a decent sized budget for your home automation system. The Smart Home website is easy to use and offers many different kinds of products at decent prices. As a retailer of these home automation products Smart Home is a good option. ADT Pulse has a longstanding reputation of quality products and services but the ADT Pulse website makes it hard to get all the information you need to make a purchasing decision. Expect to pay more with ADT Pulse. The Home Automation store didn't really stand out from the competition. With their average selection and website we had a tough time getting excited about The Home Automation Store. Usually all you need is a computer or a mobile phone to easily control and monitor the many aspects of your home. Home automation can also be enhanced with a home security system to offer added security for your home and family. Usability. How technically savvy do you have to be to operate the home automation product? If it's too complicated, it's just not worth it. Customer service. If you have a question or problem with your home automation system, will there be someone who can quickly answer your questions? Guarantee. If the home automation system doesn't work, or you change your mind, can you return it for your money back? 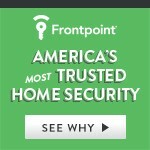 TopConsumerReviews.com has reviewed and ranked the best Home Automation solutions available today. We hope these reviews help you find the right home automation system that you're looking for! Our home is our castle, the archive of our lives, the repository of our treasures, and with ever-rising energy costs, an increasing expense. A home automation system can provide you with peace of mind and lower our energy consumption, a good thing for our environment and your wallet. Compared with earlier generation home-monitoring systems, the benefits of the new generation of home automation systems - systems that enable us to interact, directly and in real time - with our most expensive possession, can be equated to the difference between owning a horse and buggy and a hybrid automobile. Today's home automation systems allow more control over home heating and cooling than programmable thermostats that can only follow preset instructions. With most new home automation systems, a Smartphone call from you can bring your home to your preferred at-home temperature settings, rather relying on the clock to make the changes. Suspect someone is cranking up the heat or air conditioning when he is home and you are not? Home automation systems can monitor and report on this. Going away for a long weekend? Why have your electric water heater working to provide a hot shower unnecessarily. Either access your automation system through your computer before you leave, or use your Smartphone to turn off the water heater until you are on your way back home. Add-on water sensor devices available on today's generation of home automation systems can text or email you that the hot water tank has sprung a leak, so you can call the plumber who you can let into your home using add-on remotely controlled door locks. Not only can you turn on outside and inside lights for the plumber, but with available add-on outside and inside remote controllable, streaming video cameras, you could watch him come, go and make repairs. Available add-on system sensors can alert you, and potentially your home alarm monitoring service if you choose to subscribe to it, to an unexpected rise in a room's temperature, possibly indicating a fire. They can also detect smoke or a rise in carbon dioxide (CO) levels whether you are at home, asleep, or out and about. Door and window monitoring devices, including doggy-door monitoring, garage door opening and closing, glass break sensors, curtain movement sensors and motion detectors are also features. Some of them come standard and others are add-on devices, and are features that be accessed for arming and disarming through a central monitoring station in your home through your computer and Wi-fi. These same features can be accessed, as an add-on service, through a keychain device. Provided you had the iron or the coffee pot plugged into an electrical outlet connected to the home monitoring system, you could be absolutely certain, via your Smartphone, neither was left on and likely to burn the house down. It is also possible to realize a savings on your home insurance premiums when you have a home automation system in place, yet another benefit of owning a new generation home automation system. ADT Pulse Interactive Solutions Services, which help you manage your home environment andfamily lifestyle, requires the purchase and/or activation of an ADT alarm system with monitored burglary service and a compatible computer, cell phone or PDA with Internet and email access. These ADT Pulse Interactive Solutions Services do not cover the operation or maintenance of any household equipment/systems that are connected to the ADT Pulse Interactive Solutions Services/Equipment. All ADT Pulse Interactive Solutions Services are not available with the various levels of ADT Pulse Interactive Solutions Services. All ADT Pulse Interactive Solutions Services may not be available in all geographic areas. You may be required to pay additional charges to purchase equipment required to utilize the ADT Pulse Interactive Solutions Services features you desire. * Activation Fee and 42-Month Monitoring Agreement at a minimum of $49.99/mo., home ownership, and satisfactory credit history required. Local permit fees and/or sales tax may apply. Services not available in all areas.